Amid a rise in the German business confidence for a third month to 106.2 from 105.9 in June, the euro resumed its advance versus the dollar, gaining 80 points to $1.3276. A slight drop in the Spanish unemployment rate to 26.3% from 27.2% also helped, with forex spread betting investors feeling increasingly confident the common area might emerge out of recession. The consensus seems to be that Draghi's comments about accommodative policy from a few weeks ago are at least buying time. Initially, the euro climbed against the dollar, largely on a surprise expansion in European manufacturing as indicated by the PMI numbers. Nonetheless, the renewed interest for the single currency was discarded once the attention shifted to the other side of the Atlantic. On ongoing US recovery for new home sales sent participants back into the dollar, with the EUR/USD finishing 24 points down at $1.3200. Eurozone consumer confidence data climbed by more than anticipated yesterday, fuelling optimism that the region is finally emerging from recession after six quarters of contraction. That seems to have been enough for CFD investors, who ignored the record unemployment of over 12% and plunged back into the euro, pushing it 39 points higher to $1.3224. The recent rally in stocks to record territory is not reflective of a booming US economy but rather speculation that monetary stimulus is still on the cards. Therefore, the dollar gets hurt every time that the market gets ahead of itself, with investors' interest flowing into higher yielding currencies. As such, the EUR/USD pair continued its rebound, gaining 46 points to $1.3185. With Federal Reserve Chairman Ben Bernanke playing down speculation that a scale back in the monetary policy was imminent, the dollar went into defence. This opened the door to a number of extra possibilities and allowed the euro to rebound versus the dollar on Friday. Consequently, despite the Eurozone's ongoing struggle to emerge from a record long recession, the EUR/USD recovered from an intraday low of $1.28 to close 30 points higher at $1.3142. The euro dropped 16 points against the dollar yesterday, closing at $1.3108 amid signs that the debt crisis in some peripheral economies never really went away. In addition, protests in Spain and Greece against corruption and cuts in government spending are making headlines once again. Finally, a recovering US economy is also helping to boost the dollar, thus hurting the shared European currency. Bernanke's testimony before the US Congress highlighted his goal of making sure that the economy has enough momentum to sustain a scale back in asset purchases. However, the Beige Book survey indicated a 'modest to moderate pace of growth' which bolstered the dollar against the shared European currency. 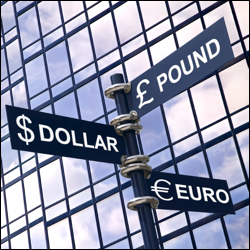 Consequently the euro-dollar FX pair lost 34 points to $1.3124. Ignoring an unexpected fall in the German consumer confidence, the euro/dollar pair rose by 98 points to $1.3161. The move came as, once again, events in the US took centre stage, with Ben Bernanke set to testify in front of Congress this afternoon. Importantly for the relative strength of the dollar, the Fed Chairman has recently hinted that the US needs to maintain an accommodative monetary policy in order to ensure a safe recovery. The euro only saw a modest drop against the US dollar yesterday, losing just 13 points to $1.3062 despite testing the $1.30 support earlier in the session. It seems that Fitch's downgrade of Europe's temporary rescue facility failed to have a significant impact, with investor focus remaining on the other side of the pond. With the US economy in much better shape than its European counterpart, investors started to speculate that the Fed will scale back its monetary stimulus faster than the ECB. As a result, the dollar resumed its advance versus the shared currency, gaining 30 points to $1.3067. On top of that, credit rating agency Fitch has downgraded France's credit rating, yet another sign that the waters remain murky on this side of the Atlantic.